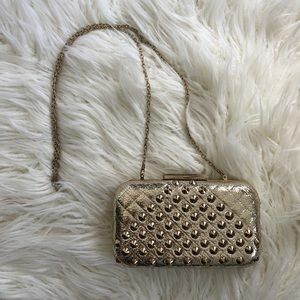 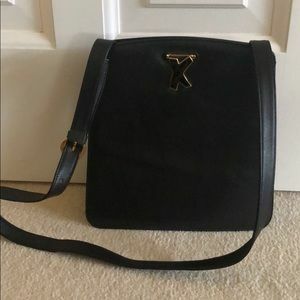 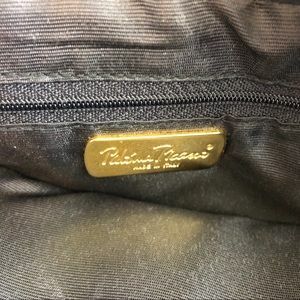 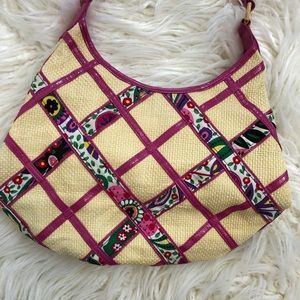 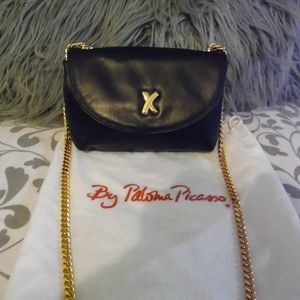 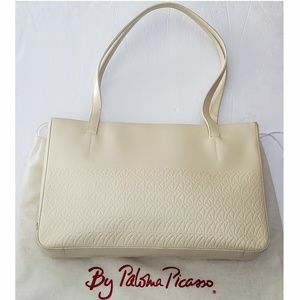 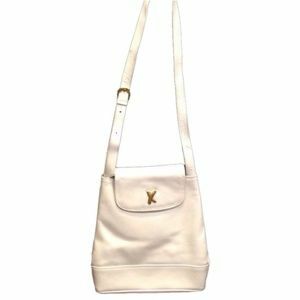 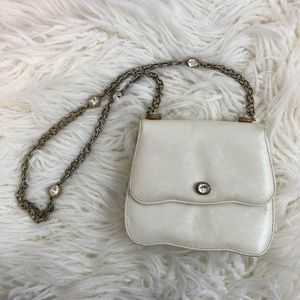 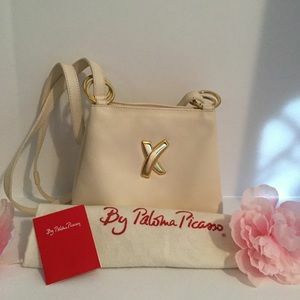 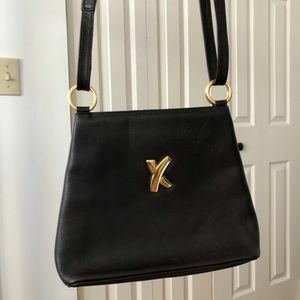 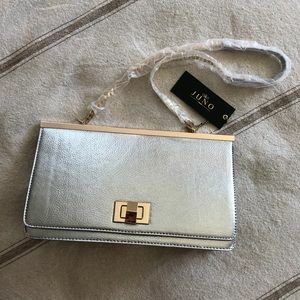 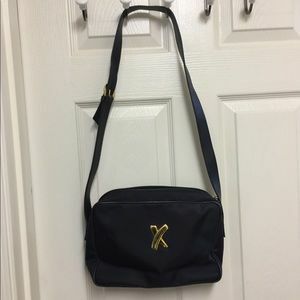 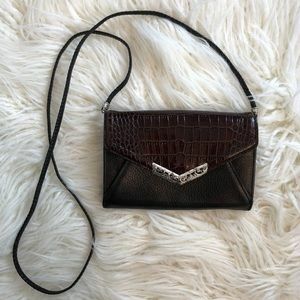 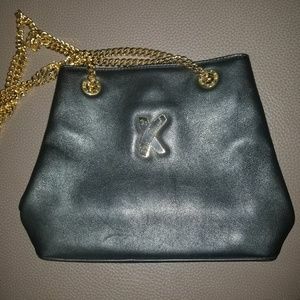 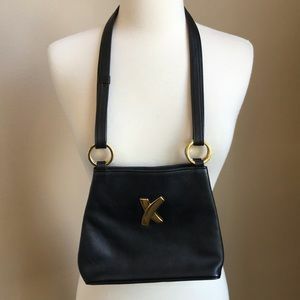 This gorgeous vintage PALOMA PICASSO purse is available! 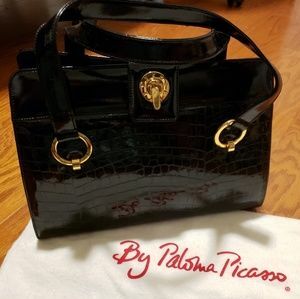 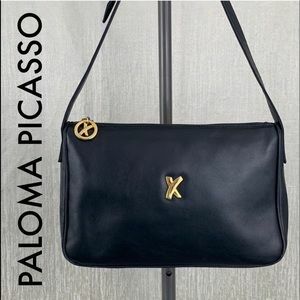 It has a black fabric material on the outside with Paloma Picasso embroidered on it. 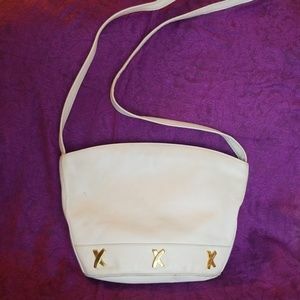 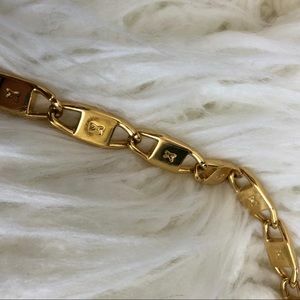 The handle has the matching fabric at the top with gold X chains. 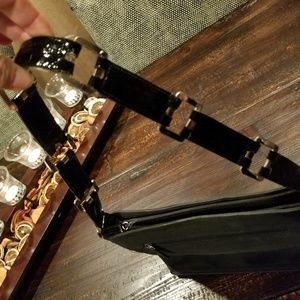 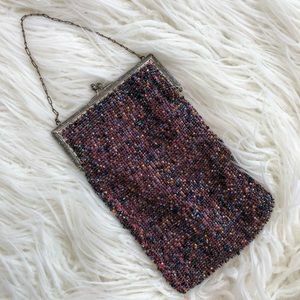 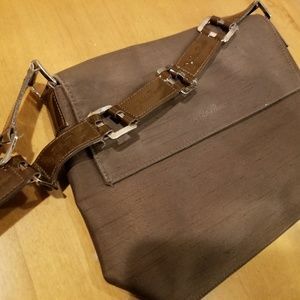 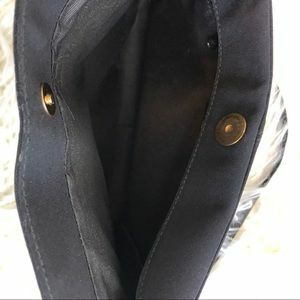 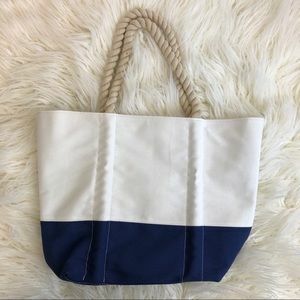 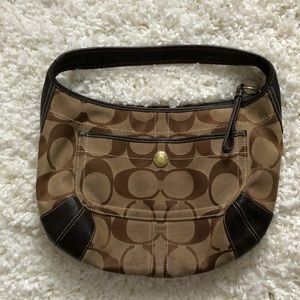 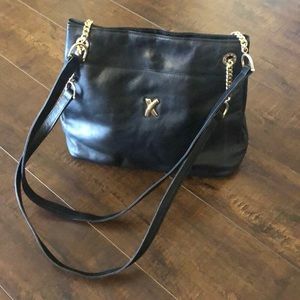 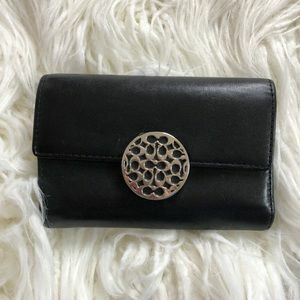 There is a snap on the top of the purse and inside is a black fabric lining. 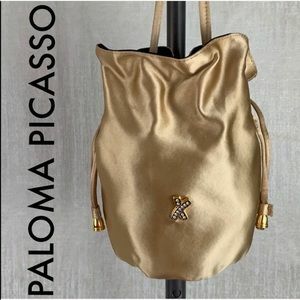 There’s a zipper pocket with Paloma Picasso Made in Italy on it! 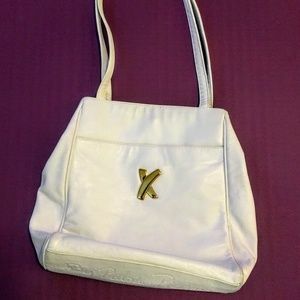 It’s 10.5”x7”x1.5.” It’s in excellent vintage condition with no flaws! 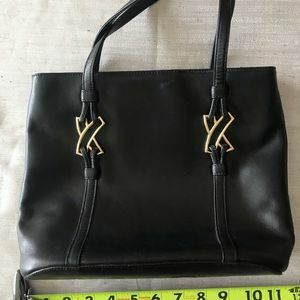 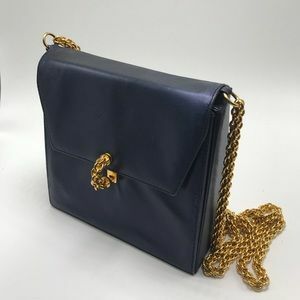 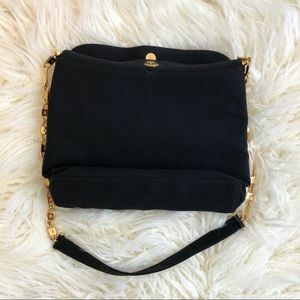 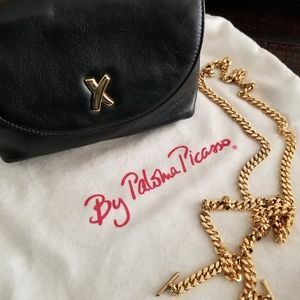 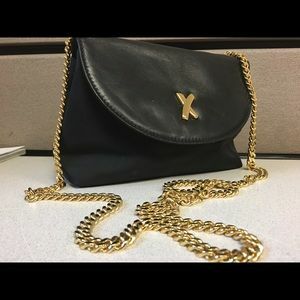 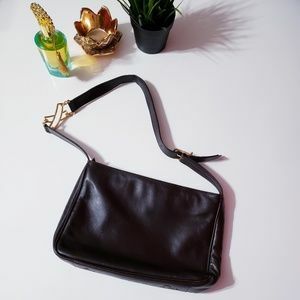 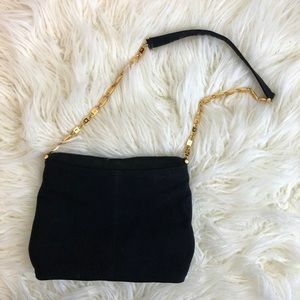 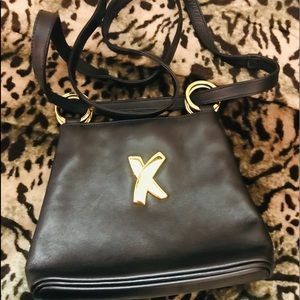 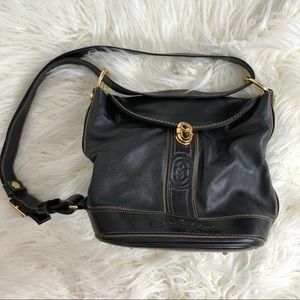 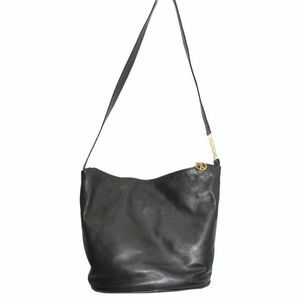 Paloma Picasso black bag with gold chain.